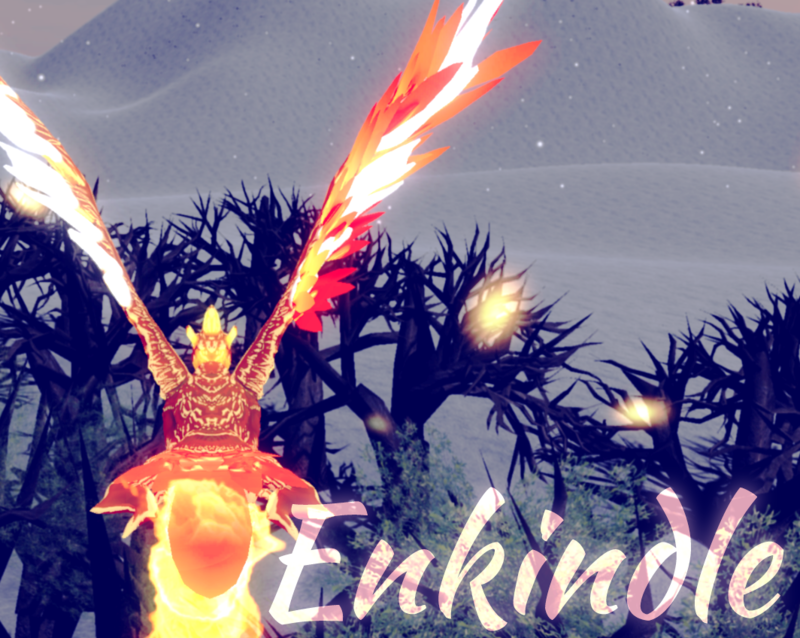 Enkindle is a 3D, open map RPG in which the player takes on the role of a phoenix that blooms to life in a forest held in winter's icy grasp. 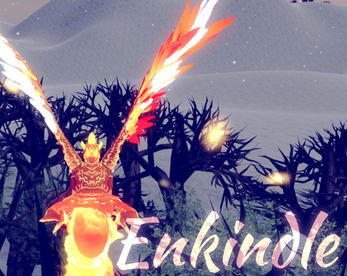 The player can fly through the forest, melting the snow with every pass of their wings and transforming the wintery landscape. The player has a semblance of control over how the forest will bloom; with each touch, the colors change - a tree covered in barely-grown leaves will flower and bloom as the player flies through it, and another touch to the tree's branches may yield another change to the golds and reds of fall. Though the player has a set time limit before the phoenix falls to ash, there are no mistakes to make or enemies to fight. The heart of Enkindle lies in how the player chooses to transform the landscape to their liking. Whatever the player chooses, in the end the camera pans over the newly shaped forest, a testament to the accomplishments made during their brief life. Please note that this is not a final release of the game; this is, in effect, a very advanced prototype, and will be improved upon. it keep crashing upon loading, please fix this. I'm on windows 10 pro, and I hear the opening music for a second, then it freezes and crashes. I really liked the theme of the game, and found flying around bringing life back to the world very relaxing. The music definitely helped in that regard! I'm personally used to a faster turn speed with a mouse, but other than it being slow I found it nicely responsive. I'll probably continue to play this, for when I just want to lose myself in something nice for a few minutes. Good job! It's a pretty game and a fun concept. Like the other guy said the mouse controls are terrible but the keyboard ones worked great, and yea no crashes here either. Neat concept. I loaded in to all the trees in an area already pink but found some on the back side of the island that I could grow. Pretty decent for people in school. I had no crashes and the controls worked fine for me. Cool game. Mouse controls were unusable, but the keyboard WASD controls are perfectly fine. Music is easily the best part. Crashed a couple times when loading though, but that might have been a problem on my end.